Content includes a lot of different elements. It includes any text, photos, video, or audio that appears on a webpage. The key a great website is to fill it with strategic content; content with a purpose. A site’s content is an opportunity for you to connect with your customers and provide more them with up-to-date information. It’s not enough to build a website, you need to fill it with relevant and engaging content. Despite what most people think, content needs to be updated regularly. When people come to your site, they expect new copy that’s relevant to them. One of the most important aspects of content is making sure it’s up to date. Fresh content on a website will keep users coming back. Your website is your company’s first impression for most consumers, so your website should be updated with new content often to keep coming back. Provide information to your customer- Your customer came to your website for a reason. Content is your opportunity to provide more information about products and services you offer. The more information you can provide a potential customer, the more confident they will feel in you and your business’ abilities. Differentiate yourself from your competitors- Your website is all about you and what you can do. This is your chance to build your reputation as an industry leader. If a customer is faced with two equal products, they’re more likely to go with the product that has more content about it. Your content can be descriptions, anecdotes, testimonials, anything that helps sell the product. 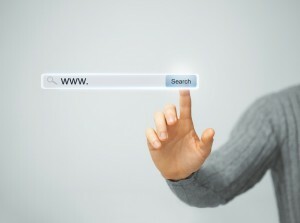 I ncrease Search Result Ranking- Optimizing your web content with keywords can greatly improve your ranking in search engine results. When we write SEO friendly content, that doesn’t mean we only write for search engines. The copywriting specialists at NEXTFLY write relevant content that is still engaging your customers. At the end of the day, people are the ones reading your content. We aim to write content that is easy for your customers to read, but also attract the attention of search engines. Decreased bounce rates- When your site has relevant content, visitors are more likely to find your website through search engines (see above), and stay on your page longer. When a user comes to a new page, they spend an average of 5.9 seconds scanning content. That’s less than 6 seconds to impress them with organized, attractive, and informative content. A site that is is filled with well-written content will keep your customers engaged and on your site. Create a call to action– You got someone to your site, now what? Calls to action ask the user to complete a task. Depending on your site, this action could be anything from asking them to sign up for a trial, clicking a link to read more about a product, or contacting you for more information. Having content written based on your call to action makes the user more likely to act. Let us do the writing so you can do what you do best- running your business!